We Want You To Live A Healthier Life. Our mission is to push humanity forward with creating the cleanest paints, plasters, lime paints, stains and varnishes available in the world today. Paint may seem benign, but it is everywhere in our living environments. We want to create a healthier planet outdoors and indoors by only producing completely healthy and clean products that do no harm. Romabio’s story starts in Italy over 50 years ago with the paint manufacture we use today, Zetacolor. It was started in the 1960’s by the Betti family, three generations ago with Patrizio’s (one of our founders) grandfather. 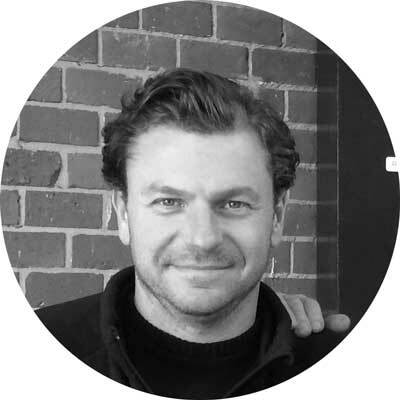 Patrizio worked in the factory during his summers as a young boy and he fell in love with the process and new technologies that Zetacolor was using. In 1981, he decided to join the company and to ensure the factory kept moving forward, he became an apprentice for six years to one of the finest chemists in paint productions in Italy at the time, Dr. Giovanni Cougn. Those years provided the knowledge and the experience for Patrizio to take control of Zetacolor’s laboratory and begin his own pioneering efforts in developing new paint formulas. 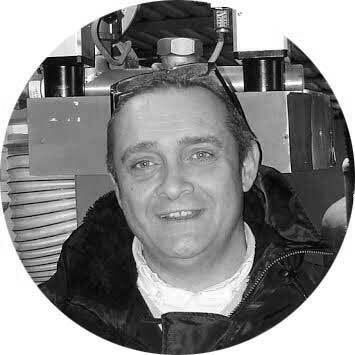 Christopher (one of our founders) was living in Italy and working in the building industry in the 1980’s and 1990’s. He has a natural passion for ancient building sites, with particular interests in ancient building construction techniques and materials. He often pondered why these same practices were not currently applied in the building trade. He embarked on a mission to understand if some of these materials could be revitalized, starting with mineral paints made from natural, raw materials typically used from the pre-Roman period up to the Renaissance, to create a sustainable product that does no harm. Towards the end of the 1990’s, Patrizio also became concerned with the evolution of products and their effect on the environment and began to consider the chemical alternatives that would permit an interior acrylic paint formulation to be exempt of solvents. In 1999, he introduced his first solvent free acrylic paint for interiors called IDRO G that offered wash-ability, excellent adherence, and vibrant coloring. Christopher met Patrizio in 2007 and realized with his expertise that he might be able to help him develop a vastly new product – manufacturing mineral paints without the use of solvents or toxic chemical ingredients based on ancient science technologies. After much consideration, Patrizio finally decided he would help realize the concept, collaborating with Christopher and shortly thereafter, Michael (our other founder). Michael joined the venture because he knew this was the direction the paint industry should be headed and he provided equal passion, plus foresight to the business. The team was formed. Christopher, Patrizio, and Michael worked tirelessly over the next few years with endless research and chemists to figure out which clean ingredients they could use for formulation, and how to introduce this concept to the building trade. In 2011, they officially formed Romabio and continued to work on formulations. Finally, in late 2013 they finalized the exact formulation, offering the world the possibility to have the first paint technology that could replace acrylic paint products and their damaging effects on human and environmental health while still being affordable, durable, and beautiful. Innovation and passion are at the basis of everything that our founders and our employees do. We are dedicated to expanding Romabio’s reach across the globe so everyone can have access to the cleanest paint products available in the world today. Christopher lived in Italy for 20 years researching ancient building technologies as well as being involved in the forefront of passive construction technologies and alternative energy building systems in Europe. 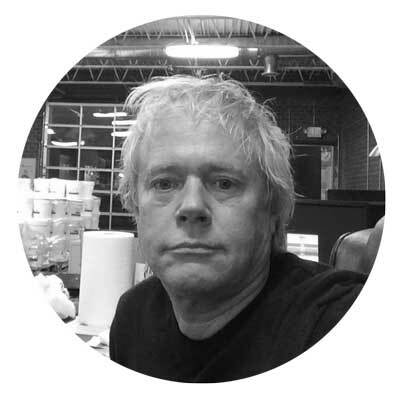 He has over 40 years building experience and is a pioneer in design techniques for architectural coverings. With his vision and experience, he is often referred to as our “mad scientist”. Michael has successfully worked in the commercial real estate, sales and finance industries for the past 20 years. He has an entrepreneurial business mind, able to identify emerging new technologies and industries, but equally as important, he is driven by a passion to only be involved in ventures that will help humanity move forward. He uses all of his unique skills in leading the Romabio team. Patrizio’s family founded one of the first paint manufacturing facilities in Florence, Italy over 50 years ago. He is a chemist specializing in historical coatings technologies and advanced sciences for paints, and for 35 years he has researched, developed, and manufactured state of the art paint technologies. He is an expert in building coating systems as well as a pioneer in restoration technologies. Patrizio was instrumental in developing the world’s first completely zero VOC paint formula ever manufactured for Romabio. He is also known to do the impossible, with passion!